The hospitality at the Dolce Vita Hotels in South Tyrol is unique. Enjoy the pleasant attentiveness and being looked after during your sporty activity and wellness holiday. In order to maintain the quality, Dolce Vita Hotels are anonymously tested every year and the results are something to be proud of: all hotels have received the HolidayCheck Award at least once. A wellness & spa break at one of the popular Dolce Vita Hotels Italy is always a fountain of youth for body, mind and soul. Modern comfort, warmth and the courteous service of friendly hotel teams are waiting for you. Every day the teams and your host families are there for you with heart and soul, to ensure you have unforgettably beautiful holidays at the Dolce Vita Spa Hotels in Italy. Enjoy genuine cordiality and hospitality during your holidays at one of the Dolce Vita Spa Hotels in Italy. Competence, friendliness, the consideration of your individual holiday preferences, and various extras make your holidays in the north of Italy a very special experience. 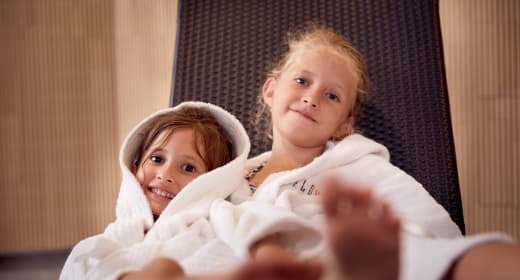 Experience the natural happiness and joy of living of the locals during your holidays at the Dolce Vita Spa Hotels of South Tyrol: Feldhof DolceVita Resort, Hotel Jagdhof, Hotel Lindenhof, Hotel Alpiana and Hotel Preidlhof. Happy staff equals happy guests: The Dolce Vita Team Club and various advantages and amenities ensure that the team at the Dolce Vita Spa Hotels in South Tyrol are just as happy as the guests. The staff gladly share their contentment by giving their best for the guests every day. Plunge into a friendly atmosphere when you first enter your Dolce Vita Hotel and enjoy the ambience that makes your holiday residence unique. Dolce Vita Spa Hotels in South Tyrol - experience holidays among friends! Send a non-binding enquiry today and look forward to enjoying marvellous holidays in the north of Italy - at the Dolce Vita Spa Hotels in South Tyrol.